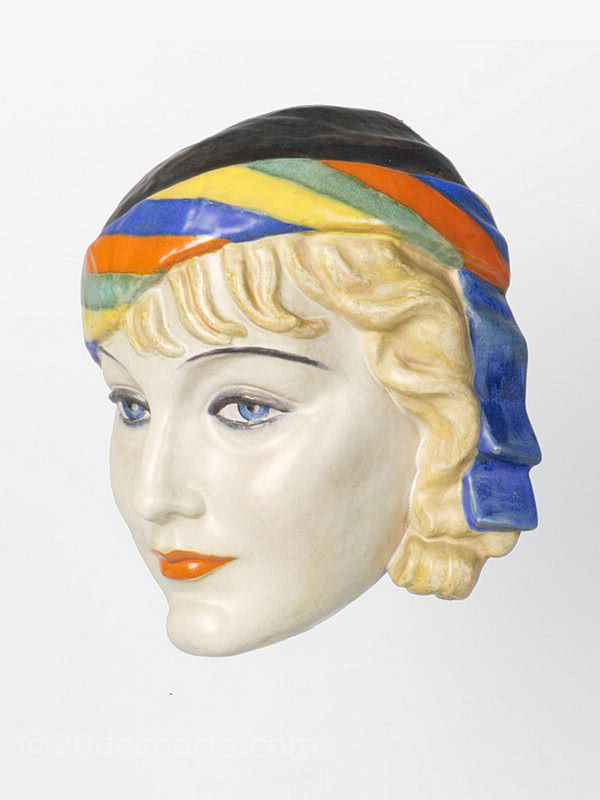 A Keramos Art Deco terracotta wall mask, "Anny Ondra" by Podany, Vienna Austria circa 1930s depicting the actress wearing a stylish multi-coloured hat . 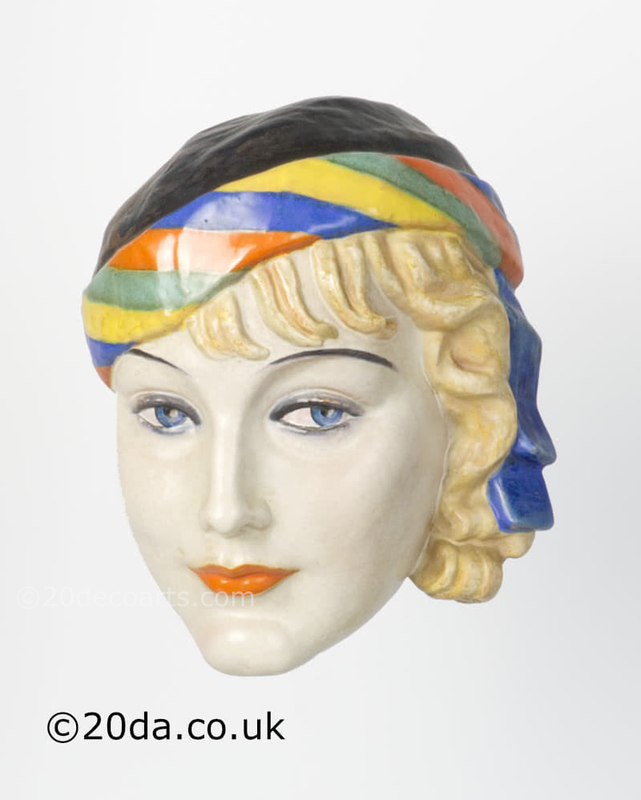 This is a really lovely vibrant wall mask in excellent condition. Anny Ondra was a Czech actress probably most known for her two British films with Alfred Hitchcock, especially the 1929 thriller Blackmail.